Iran and Azerbaijan have signed a series of basic agreements to promote cooperation in several key areas. Iran and Azerbaijan have signed several basic documents to expand cooperation in several key areas. 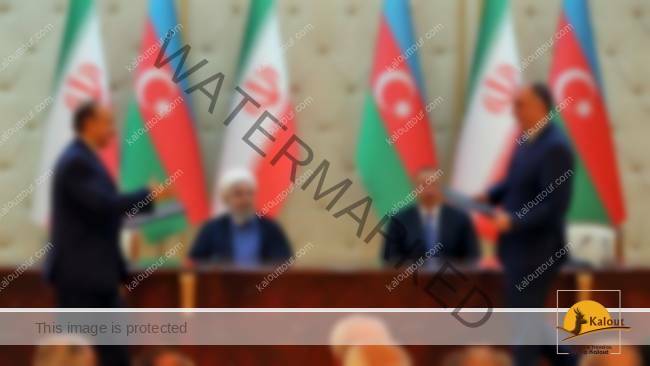 Iran’s President Hassan Rouhani, who is visiting Baku, and his Azeri counterpart Ilham Aliyev oversaw the signing ceremony of the agreements. The corridor – named the North-South Transport Corridor (NSTC) – is an intercontinental multi-modal route that would link St. Petersburg to Mumbai. It primarily involves moving freight from India, Iran, Azerbaijan and Russia via ship, rail and road. The protocol of intentions over the NSTC was signed by Iran’s Minister of Roads and Urban Development Abbas Akhoundi and Azerbaijan’s Transport Minister Ziya Mammadov. Other basic agreements that the two countries signed included one that concerned cooperation on banking issues, another on cyber security, and several others on tourism, agriculture and standardization. President Rouhani arrived in Baku on Sunday. He is expected to sit in a trilateral meeting with Aliyev and Russia’s President Vladimir Putin on Monday. They are to discuss certain regional issues as well as mechanisms to expand their economic cooperation in several key areas including commerce, energy, communications as well as transport. Rouhani is also expected to hold a bilateral meeting with President Putin in Baku to exchange views on Tehran-Moscow relations as well as other issues of mutual interest. Prior to his departure, Rouhani described the Baku summit as “highly important,” saying the discussions will chiefly focus on the NTSC project. https://kalouttour.com/wp-content/uploads/2017/08/kalout-300x225-80x80.png 0 0 admin https://kalouttour.com/wp-content/uploads/2017/08/kalout-300x225-80x80.png admin2017-01-13 23:49:522017-03-13 14:16:39Iran and Azerbaijan have signed a series of basic agreements to promote cooperation in several key areas.